2nd Run Limited Edition Signed Copy of Steve Snuffer’s New Book Daily Attitude of Gratitude. This Book contains 365 original Daily Inspirational Affirmations that are sure to start your day off in a grateful way. Get your signed copy before they’re all gone!! Kindle Version Also Available on Amazon! Author is just one more thing Steve Snuffer can now add to his resume. He’s an accomplished musician, multi-instrumentalist, singer, studio musician, music engineer, artist, photographer, motivational & inspirational speaker, and all around creative sort. Steve was bitten by the bug of writing at a very young age. Since then he’s been on an amazing self-discovery journey that’s had him followed by a growing audience on social media. 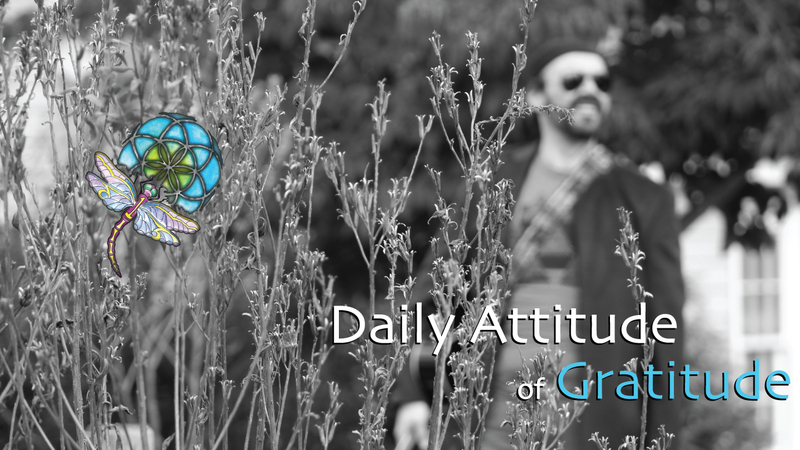 Steve’s story has helped to inspire others to see the good in life and how living a “Daily Attitude of Gratitude” can benefit the way you feel everyday. Many turn to his advice daily and have encouraged him greatly to write this book.